Very large terraced house at the beach of Denia. Terraced house with three floors and a basement as the garage. The house is very well preserved and has custommade furniture in many areas of the house to make use of all the spaces. 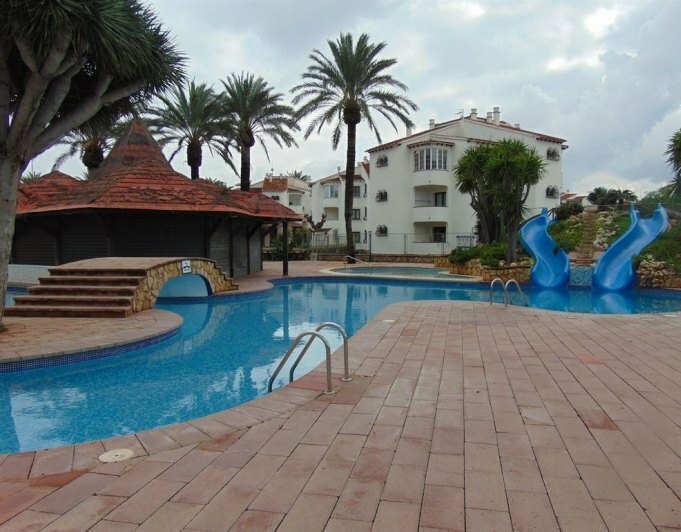 It has various terraces with different orientations, one of them with views to the sea. The complex has swimming pool and very well kept community gardens throughout the year. The beach is just at a step.The house is distributed in living room with access to the communal area through a terrace, kitchen and a toilet. On the first floor two bedrooms with fitted wardrobes and a bathroom. On the second floor one bedroom with a bathroom and a terrace with views to the sea, such as an independent apartment.An exclusive home of the MLS Denia. Come to see it without compromise.